Sensor Web Enablement (SWE) provides a suite of standards that allows environmental monitoring data to be published in a consistent way over the Internet. SWE was developed by the Open Geospatial Consortium (OGC) and provides a means by which sensors can join the ‘Internet of Things’. In 2016 the Marine Environmental Data and Information Network (MEDIN) funded a study undertaken by Cefas and OceanWise which considered how data from existing sensor networks could be combined and used in applications or harvested automatically, with SWE providing the consistent interface. Three existing sensor networks were used in the study, two from the public sector, Cefas’ SmartBuoy and WaveNet, and one from the private sector, OceanWise’ Port-Log.net. The report of the study has been published on the MEDIN website. The results demonstrate how open source software can be deployed within a day or so to enable existing monitoring data to be published using a recognised international standard, thus avoiding the need to write and/or consume multiple APIs. 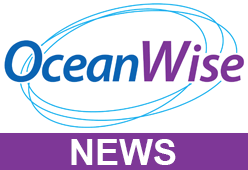 There are still challenges to overcome, such as how and where data are stored and quality assured, however, OceanWise is planning to use SWE to publish data from Port-Log.net, where these issues are already addressed. In addition to the report, a demonstration web application and web service will be available.